Mayor de Blasio said Wednesday he won’t quit his job at City Hall if he decides on a quixotic run for president. 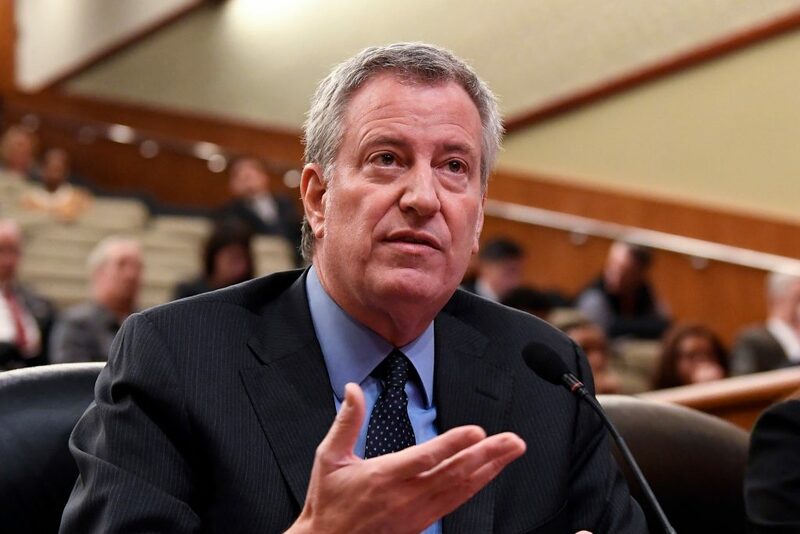 The mayor replied “no” when asked on Fox 5’s “Good Day New York” whether he plans to step down as mayor should he move ahead with a bid for the White House. He said he and his family will “decide together” whether he actually makes the run in 2020 – but promised not to leave New Yorkers high and dry. Newly-elected Public Advocate Jumaane Williams would take over if De Blasio leaves before his term ends on Dec. 31, 2021. De Blasio is headed to headed to New Hampshire this weekend after visiting Iowa, another early primary state, last month. A Des Moines Register poll showed the mayor had zero chance of being the first or second presidential pick of Iowa voters. “I never paid attention to the polls or I would never be sitting here,” said de Blasio, referring to early polls in the 2013 mayoral race showing him lagging behind his rivals. Did Wendy Williams' Husband Really Cheat on Her?